Bigfoot is one of the famous myths in GTA San Andreas, He supposedly can be found in the San Andreas countryside (usually in Back o Beyond or Mount Chiliad). Most pictures and videos are fake or a mod. The debate that determines if Bigfoot exists in San Andreas is still active to this day. The existence of Bigfoot in Grand Theft Auto: San Andreas has been the focal point of many Internet-based rumors since the game was released in 2004. It is impossible to determine the start of these rumours. However, one theory suggests that the rumours may have been started by the integration of the artist Bigfoot in the brochure that came with the game. 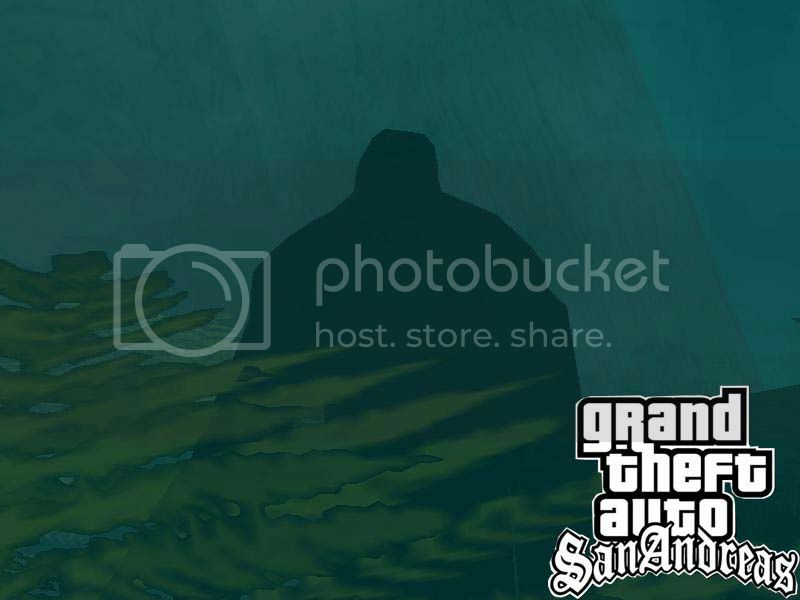 Players on the PS2 version of GTA San Andreas have said that there have been sightings of bigfoot in "SHADY CABIN. Although it may not be true, more sightings have been reported in Back O Beyond. He hardly comes out. Thanks to ZS, a large human figure shows up out of nowhere. At 00:00 o'clock in the game near the big rock close to the small river in Back O Beyond. There are many in-game references including evidence that supports that Bigfoot can be found in-game. One is a picture by the TV in the Johnson house that depicts what looks like Bigfoot surrounded by the Back o Beyond scenery. Another is that the entire section of Back o Beyond on the in-game map looks like a literal big foot. In Red Dead Redemption: Undead Nightmare expansion, there is a side mission that allows the player to hunt and kill sasquatches (a.k.a Bigfoot). Upon killing the first, an achievement is awarded called "Six Years In The Making". This is a direct reference to San Andreas, for it was released in 2004 and Undead Nightmare being released in 2010, a discrepancy of 6 years.